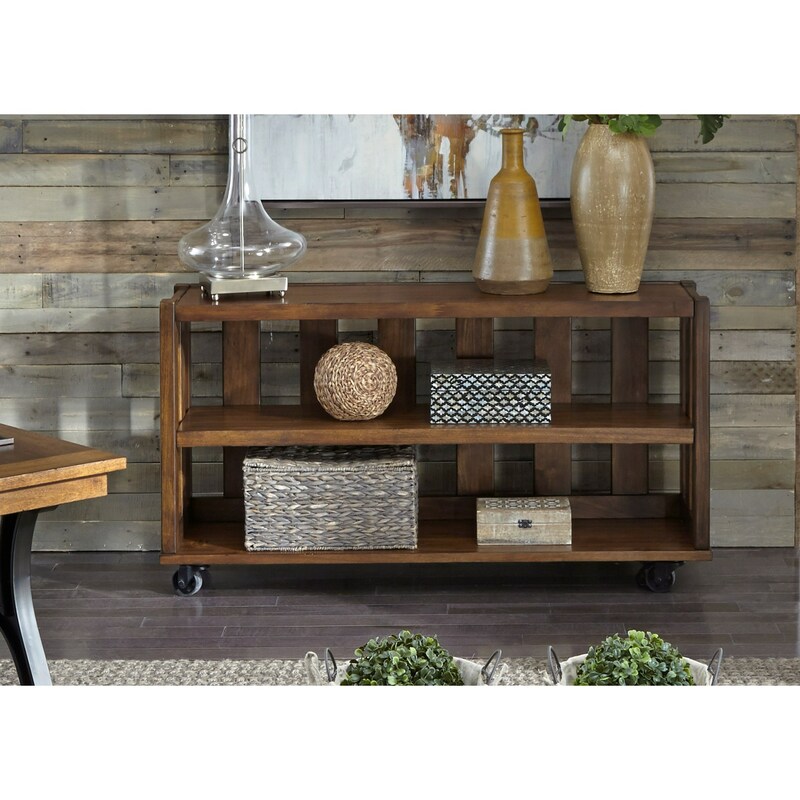 Pairing the clean silhouette that helps to define contemporary style with an open slat design and caster wheels results in a unique take on industrial style in this handsome sofa table. A pair of open shelves provide you with plenty of space to store items or accessorize as you see fit while the caster wheels allow you to easily rearrange your space to fit your unique style. 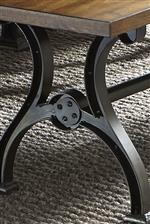 The Arlington Sofa Table with Industrial Caster Wheels by Liberty Furniture at Miskelly Furniture in the Jackson, Pearl, Madison, Ridgeland, Flowood Mississippi area. Product availability may vary. Contact us for the most current availability on this product.